Although few people in Europe have heard about the ECJ’s ’Achmea ruling’, the case will have far-reaching consequences and it is important for member states to understand the implications of the case quickly, especially those states that are considering ratifying CETA. The fundamental problem with investor-state arbitration, in the court’s view, is that they "remove from the jurisdiction of their own courts, and hence from the system of judicial remedies which [EU law] requires them to establish in the fields covered by EU law, disputes which may concern the application or interpretation of EU law". But more broadly, this monumental decision casts a shadow on the legality of investor protection clauses in Europe’s many free trade agreements, including CETA, currently in national ratification phase. Belgium had already requested the ECJ to determine whether the investment provisions in CETA are in compliance with the EU Treaties, but the court’s reasoning in Achmea strongly suggests that the answer will be no. As an earlier decision by the ECJ clarified, the general duty of loyalty resulting from the Treaty of the EU is that member states have an obligation to "have recourse to the [Union] judicial system and to respect the court’s exclusive jurisdiction, which is a fundamental feature of that system." 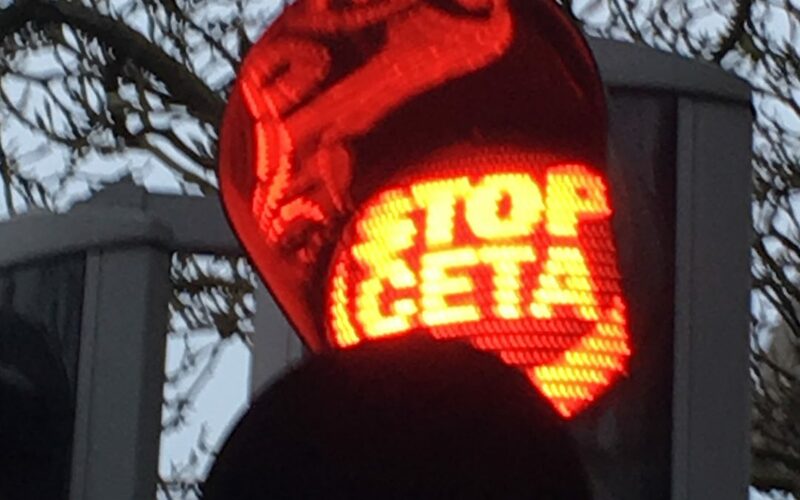 Lithuania’s decision to ratify CETA before the ECJ’s decision not only violated the state’s duty of loyalty to the EU, but is also contrary to the pro-European nature of Lithuania, whose institutions typically embraced EU law wholeheartedly.